September 14, 2018 5:40 pm. Carzoff wins the Newcastle Cup on September 14, 2018. Source: Bradley Photos. The Metropolitan Handicap looms as a logical goal for the Chris Waller-trained Carzoff who has proven his staying credentials with a narrow win in the Newcastle Gold Cup. Kerrin McEvoy rode a patient race on the six-year-old and had to weave a passage through the field before Carzoff burst through a late gap to score by a long neck over Auvray with Just Shine a length away third. 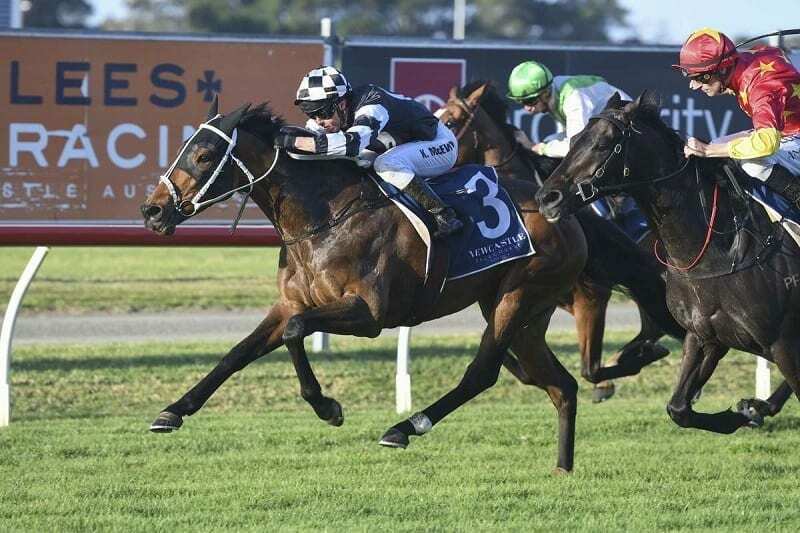 Carzoff has now won the Wyong and Newcastle Cups at his past two starts but of significance on Friday was the fact he stretched his capabilities to 2300 metres, a distance he hadn’t won over previously. “He’s in a really good space the horse,” McEvoy said. “He’s loving travelling around there on the bridle and being the last one off the bridle and getting the splits just fills him with confidence. A French import, Carzoff has been a work in progress for Waller. Stable representative Liam Prior said they never had doubts about the six-year-old’s talent but he had taken time to settle into the Australian way of racing. “He showed a lot of ability early when he first arrived and then he took a while to find his way and now he’s starting to put it together,” Prior said. Prior confirmed the Group One Metropolitan (2400m) at Randwick later this month was Carzoff’s likely target. “I was quite impressed with that at 2300 which he hasn’t done before,” Prior said. Auvray had to settle for second two years in a row after finishing runner-up to Broadside in the corresponding race 12 months ago.